Every little girls dream! Let your girl become a little mermaid this summer with this unique mono Pink Mermaid Swim Fin. Great for girls 10 and under. This pool toy swim fin has a Velcro strap that allows it to fit shoe sizes 1 to 7, available in pink. For convenient travel, storage, or anytime-use, the Water Chair provides comfort, adjustability, and dries quickly after each use. Sit or recline as desired by simply adjusting the durable straps. Side arms and headrest feature integrated inflatable bladders made of 12-gauge vinyl. Enjoy semi-submerged cooling comfort while sitting or lounging. Pink Mermaid Swim Fin Every little girls dream! 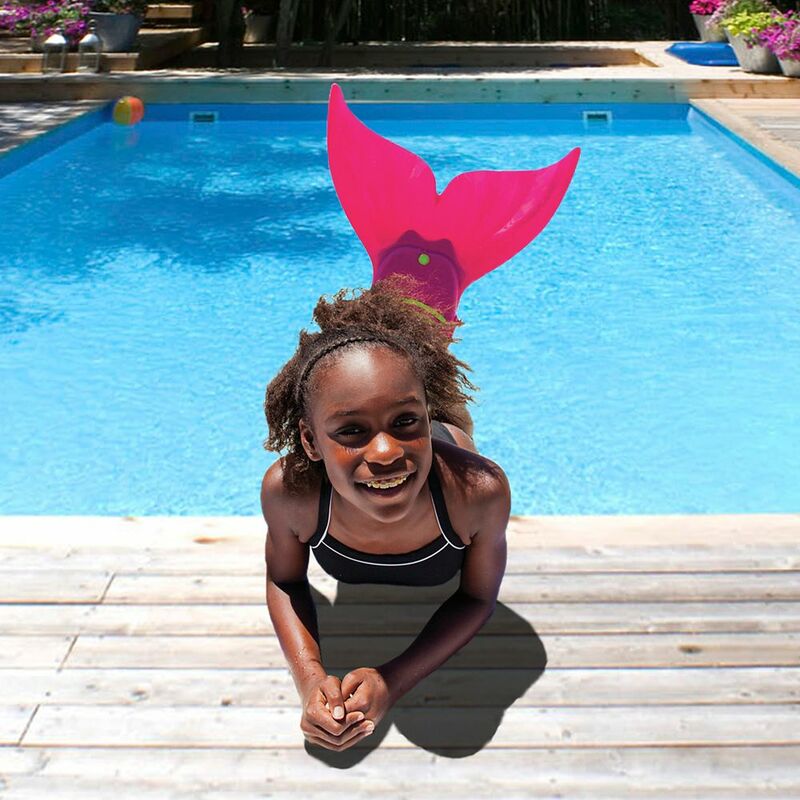 Let your girl become a little mermaid this summer with this unique mono Pink Mermaid Swim Fin. Great for girls 10 and under. This pool toy swim fin has a Velcro strap that allows it to fit shoe sizes 1 to 7, available in pink.